M. Shaaban and A. Mohany, (2015), “Passive Control of Flow-Excited Acoustic Resonance in Rectangular Cavities using Upstream Mounted Blocks”, Experiments In Fluids, Vol. 56, Issue 4, 56:72. H. Ciloglu, M. Alziadeh, A. Mohany, H. Kishawy, (2015), “Assessment of the Whole Body Vibration Exposure and the Dynamic Seat Comfort in a Passenger Aircraft”, International Journal of Industrial Ergonomics, Vol. 45, pp. 116 – 123. A. Miller, R. Machrafi, A. Mohany, (2015), “Development of a Semi-Autonomous Directional and Spectroscopic Radiation Detection Mobile Platform”, Journal of Radiation Measurements, Vol. 72, pp. 53 – 59. J. R. Elliott, R. Dubay, A. Mohany, M. Hassan, (2014), “Model Predictive Control of Vibration in a Two Flexible Link Manipulator – Part 1”, Journal of Low Frequency Noise, Vibration and Active Control, Vol. 33, Number 4, pp. 455 - 468. J. R. Elliott, R. Dubay, A. Mohany, M. Hassan, (2014), “Model Predictive Control of Vibration in a Two Flexible Link Manipulator – Part 2”, Journal of Low Frequency Noise, Vibration and Active Control, Vol. 33, Number 4, pp. 469 – 484. A. Mohany, D. Arthurs, M. Bolduc, M. Hassan, S. Ziada, (2014), “Numerical and Experimental Investigation of Flow-Acoustic Resonance of Side-by-Side Cylinders in a Duct”, Journal of Fluids and Structures, Vol. 48, pp. 316 – 331. J.B. Anderson, M. Hassan, A. Mohany, (2014), “Modelling of Fluidelastic Instability in a Square Inline Tube Array Including the Boundary Layer Effect”, Journal of Fluids and Structures, Vol. 48, pp. 362 – 375. A. Mohany and R. Ramakrishnan, (2014), “Generation of high intensity – high frequency noise”, Journal of Canadian Acoustics, Vol. 42 (3), pp. 20 – 21. O. Sadek, M. Shaaban, A. Mohany, (2014), “Suppression of Acoustic Resonance in Piping System Using Passive Control Devices”, Journal of Canadian Acoustics, Vol. 42 (3), pp. 58-59. A. Elhelaly, M. Hassan, A. Mohany, (2014), “Localization of Acoustic Emission Source in Plates Using Wavelet Transform”, Journal of Canadian Acoustics, Vol. 42 (3), pp. 80 – 81. N. Arafa, A. Tariq, A. Mohany, M. Hassan, (2014), “Effect of Cylinder Location Inside a Rectangular Duct on the Excitation Mechanism of Acoustic Resonance”, Journal of Canadian Acoustics, Vol. 42 (1), pp. 33 – 40. A. Mohany and M. Hassan, (2013), “Modeling of Fuel Bundle Vibration and the Associated Fretting Wear in a CANDU Fuel Channel”, Nuclear Engineering and Design, Vol. 264, pp. 214 – 222. A. Mohany, (2012), “Self-Excited Acoustic Resonance of Isolated Cylinders in Cross-Flow”, AECL Nuclear Review, Vol. 1, pp. 45 – 55. N. Arafa and A. Mohany, (2012), “Developments and Recent Patents on Thermoacoustic Devices”, Recent Patents on Mechanical Engineering, Vol. 5, Issue 2, pp. 79 – 88. A. El Asfouri, S. Kaseb, and A. R. Mohany, (2001), “Heat Transfer from I-Beams”, Engineering Research Journal, Helwan University Press, Vol. 78, pp. 212-227. M. Shaaban and A. Mohany, (2015), “Parametric Investigation of the Flow-Excited Acoustic Resonance from Multiple In-Line Cylinders in Cross-Flow”, ASME Pressure Vessels & Piping Conference, July 19 – 23, Boston, Massachusetts, USA. A. Omer and A. Mohany, (2015), “Suppression of Acoustic Resonance in Rectangular Cavities Using Spanwise Control Cylinder”, ASME Pressure Vessels & Piping Conference, July 19 – 23, Boston, Massachusetts, USA. S. El Bouzidi, M. Hassan, L. Fernandes, A. Mohany, (2014), “Numerical Modelling of Fluidelastic Instability in a Normal Triangle Tube Array”, Proceedings of the Canadian Society of Mechanical Engineering International Congress, June 1 – 4, Toronto, Canada. N. Arafa and A. Mohany, (2014), “Flow-Excited Acoustic Resonance of Single Finned Cylinder in Cross-Flow”, Proceedings of the 8th International Symposium on Fluid-Structure Interactions, Flow-Sound Interactions, Flow-Induced Vibration & Noise, ASME PVP Conference, July 20 – 24, California, USA. N. Arafa, A. Mohany, M. Hassan, (2014), “On The Flow-Excited Acoustic Resonance of Isolated Cylinder(s) in Cross-Flow”, Proceedings of the 8th International Symposium on Fluid-Structure Interactions, Flow-Sound Interactions, Flow-Induced Vibration & Noise, ASME PVP Conference, July 20 – 24, California, USA. A. Omer, N. Arafa, A. Mohany, M. Hassan, (2014), “The Effect of Upstream Edge Geometry on the Acoustic Resonance Excitation in Shallow Rectangular Cavities”, Proceedings of the 8th International Symposium on Fluid-Structure Interactions, Flow-Sound Interactions, Flow-Induced Vibration & Noise, ASME PVP Conference, July 20 – 24, California, USA. S. El Bouzidi, M. Hassan, A. Mohany, (2014), “Numerical Characterization of the Area Perturbation and the Time Lag for a Vibrating Tube Subjected to Cross-Flow”, Proceedings of the 8th International Symposium on Fluid-Structure Interactions, Flow-Sound Interactions, Flow-Induced Vibration & Noise, ASME PVP Conference, July 20 – 24, California, USA. Alexander Miller, Rachid Machrafi, Atef Mohany, (2014), “Development of a Simple Gamma Ray Point Source Seeking Mobile Platform”, Proceedings of the 38th Annual CNS/CAN Student Conference, August 24 – 28, Vancouver, Canada. A. Omer and A. Mohany, (2014), “The effect of high frequency vortex generator on the acoustic resonance excitation in shallow rectangular cavities”, The Acoustics Week in Canada, October 7 – 10, Winnipeg, Canada. M. Shaaban and A. Mohany, (2014), “Control of Acoustic Resonance in Shallow Rectangular Cavities Using Surface Mounted Blocks”, The Acoustics Week in Canada, October 7 – 10, Winnipeg, Canada. A. Mohany, D. Arthurs, M. Bolduc, M. Hassan, S. Ziada, (2013), “Numerical and Experimental Investigation of Flow-Acoustic Resonance of Side-by-Side Cylinders in a Duct”, Proceedings of the ASME 2013 Pressure Vessels & Piping Division Conference, July 14 – 18, Paris, France. A. Mohany and M. Hassan, (2013), “Flow-Sound Interaction Mechanism of Two Side-by-Side Cylinders in Cross-Flow”, 15th International Conference on Aerospace Science & Aviation Technology, May 28 – 30, Cairo, Egypt. J.B. Anderson, M. Hassan, A. Mohany, (2012), “Modelling of Fluidelastic Instability Inside an Inline Square Array”, Proceedings of the 10th International Conference on Flow-Induced Vibration, July 2 - 6, Dublin, Ireland. A. Mohany and M. Hassan, (2011), “Modeling of Fuel Bundle Vibration and the Associated Fretting Wear in a CANDU Fuel Channel”, 14th International Topical Meeting on Nuclear Reactor Thermalhydraulics (NURETH-14), September 25 – 30, Toronto, Canada. M. Hassan and A. Mohany, (2011), “Numerical Investigation of Flow-Induced Vibration and Fretting Wear Potential of Multi-Span U-Tubes with Clearance Supports”, 14th International Topical Meeting on Nuclear Reactor Thermalhydraulics (NURETH-14), September 25 – 30, Toronto, Canada. 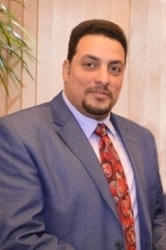 M. Hassan and A. Mohany, (2011), “Numerical Characterization of Flow-Induced Vibration and Fretting Wear Potential in Nuclear Steam Generators Tube Bundles”, ASME Pressure Vessels & Piping Conference, July 17 – 21, Baltimore, Maryland, USA. A. Mohany, M. Hassan, S. Ziada, (2011), “Numerical Simulation of the Flow-Sound Interaction Mechanisms of Two Side-by-Side Cylinders in Cross-Flow”, ASME Pressure Vessels & Piping Conference, July 17 – 21, Baltimore, Maryland, USA. A. Mohany, V. Janzen, P. Feenstra, S. King, (2010), “Experimental and Numerical Characterization of Flow-Induced Vibration of Multi-Span U-Tubes”, 7th International Symposium on Fluid-Structure Interactions, Flow-Induced Vibrations & Noise, August 1 – 5, Montreal, Canada. A. Mohany, P. Feenstra, V. Janzen, R. Richard, (2009), “Experimental Modelling of Flow-Induced Vibration of Multi-Span U-Tubes in CANDU Steam Generator”, 6th CNS International Steam Generator Conference, November 8 – 11, Toronto, Canada. A. Mohany and V. Janzen, (2009), “Flow-Induced Vibration and Fretting-Wear Performance of CANDU Steam Generators U-Tubes: Instrumentation”, ASME Pressure Vessels & Piping Conference, July 26 – 30, Prague, Czech Republic. A. Mohany and S. Ziada, (2008), “Numerical Simulation of the Flow Excited Acoustic Resonance of Two Tandem Cylinders in Cross-Flow”, Proceedings of the 9th International Conference on Flow-Induced Vibration, June 30 - July 3, Prague, Czech Republic, pp. 749-754. A. Mohany and S. Ziada, (2006), “A Parametric Study of the Resonance Mechanism of Two Tandem Cylinders in Cross-Flow”, American Society of Mechanical Engineers, Pressure Vessels and Piping Division PVP, v 9, Proceedings of the ASME Pressure Vessels and Piping Conference, pp. 63-71. A. Mohany and S. Ziada, (2006), “Effect of Acoustic Resonance on the Dynamic Lift Forces Acting on Two Tandem Cylinders in Cross-Flow”, American Society of Mechanical Engineers, Pressure Vessels and Piping Division PVP, v 9, Proceedings of the ASME Pressure Vessels and Piping Conference, pp. 73-81. A. Mohany and S. Ziada, (2006), “Numerical Simulation of the Flow Excited Acoustic Resonance of Two Tandem Cylinders in Cross Flow”, Canadian Society of Mechanical Engineer (CSME) forum, May 21-23, Calgary, Canada. A. Mohany and S. Ziada, (2005), “Effect of Flow-Sound Interaction on the Dynamic Lift Forces of Cylinders in Cross-Flow”, Symposium of Flow, Structural Vibrations, and their Interactions and Control, July 29 - 31, Guelph, Canada. A. Mohany and S. Ziada, (2005), “Effect of Cylinder Diameter on Acoustic Resonance of Two Tandem Cylinders in Cross-Flow”, Proceedings of the 20th Canadian Congress of Applied Mechanics, pp. 323-324, Montreal, Canada. A. Mohany and S. Ziada, (2004), “Aeroacoustic Response of Two Tandem Cylinders in Cross-Flow”, 8th International Conference on Flow-Induced Vibration, 1:453-458, July 6-9, Paris, France. M. Shaaban, N. Arafa, A. Mohany, “Noise Characterization and Reduction Techniques of a Digital Display Unit”, VertiGo, 2015 April. Ahmed Omer and Atef Mohany, “Investigation of Flanking Noise Transmission in Vibro-Acoustics Reverberation Room”, Vibro-Acoustics, 2014 September. Omar Sadek, Mahmoud Shaaban, Atef Mohany, “Development of Passive Control Devices in Piping System”. OPG, 2014 July. H. Ciloglu, D. Arthurs, and A. Mohany, “Dynamic Seat Comfort and Vibration Transmissibility in Aircrafts”. Bombardier Inc., 2013 June. “Steam Generator Life Assessment for Daya Bay Nuclear Power Station”, GNP-33110-LA-001, 2010 September. A. Mohany, “Vibration-Induced Fatigue Failure of Valves in CANDU Reactors” COG-10-4054, 2010 September. A. Mohany, “Mitigation of the Heat Transport Flow Signal Problems at Darlington Nuclear Power Plant”, AECL Technical Memo 153-63101-401-000, 2010 July. A. Mohany, “High Vibration and/or Excessive Noise of Condenser Steam Discharge Valves (CSDVs)” AECL Technical Memo 153-127460-401-000, 2010 February. A. Mohany, “Hydraulic Test Report of Orifice Assemblies for Shin-Kori Nuclear Power Plant Units 3 and 4” GNP-30922-TR-001 Revision D1, 2009 December. A. Mohany and J. Pietralik, “Local Heat Transfer in the Shin-Kori Orifice Assemblies”, AECL Technical Memo GNP-30922-401-000, 2009 October. A. Mohany, “Plan for Testing of Orifice Assemblies for Shin-Kori Nuclear Power Plant Units 3 and 4” GNP-30922-TP-001 Revision 0, 2009 July. A. Mohany and C. S. Schefski “CHECWORKS Primary Side Model at Gentilly 2 Generating Station” COG-07-4095, 2008 April. A. Mohany and C. S. Schefski “CHECWORKS Primary Side Model at Bruce Power Generating Station” COG-07-4031, 2008 February. C. S. Schefski, J. M. Pietralik and A. Mohany “CHECWORKS Primary Side Model at Point Lepreau Nuclear Generating Station” COG-06-4027, 2007 April. P. Feenstra and A. Mohany, “Millstone 3 Hydraulic performance of Replacement Containment Sump Strainers” Dominion, MIL3-34325-AR-001 Revision D1, 2006 December. A. Mohany, “Characterization of the acoustic emission in an automotive cabin using ABAQUS”, Research report for an AUTO21 sponsored project, McMaster University, 2005.